This is a very modern and particularly stylish duplex apartment in Barcelona. It can be found in the upper area of the city, in the neighborhood of Gràcia. The area is characterized by its local atmosphere and has plenty to see and do. It is renowned for its tapas restaurants and bars, and has plenty in the way of shops and supermarkets. 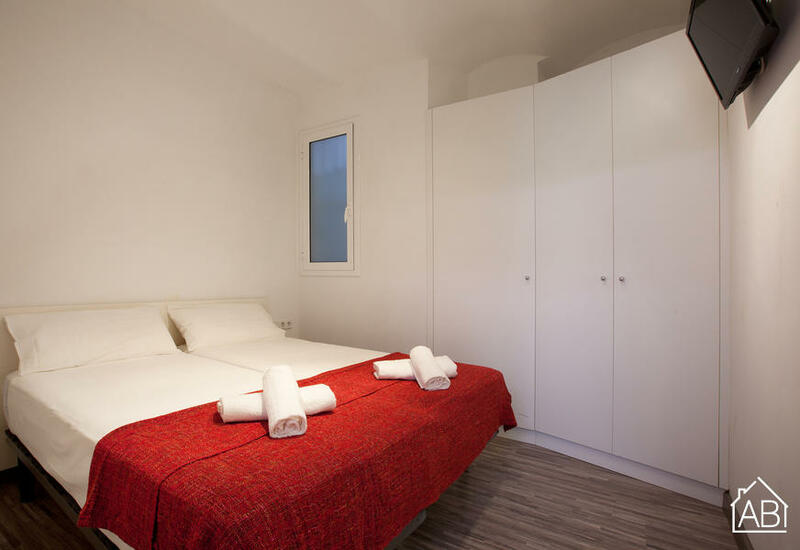 A short walk will bring you down to the famous Passeig de Gràcia street and the apartment itself is right around the corner from an FGC station and a quick stroll from a metro station, allowing you to connect easily with the city´s top attractions in a matter of minutes. The apartment itself has two bedrooms, and one bathroom. With four single beds distributed throughout, it can comfortably accommodate up to four people in total. The kitchen comes complete with the latest fixtures and fittings, meaning you will have everything you need to prepare a home-cooked meal on the evenings you don´t wish to take advantage of this area´s bustling restaurant scene. With a dishwasher and washing machine for your convenience, plus an Internet connection, you´ll feel right at home in this well-located apartment.